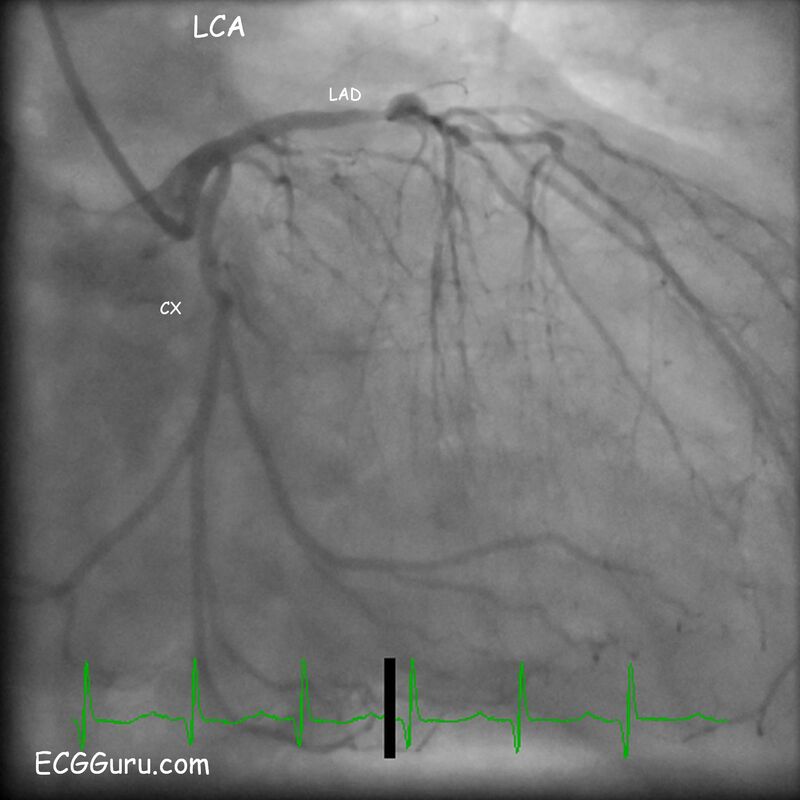 This is an angiogram of a left coronary artery (LCA). The circumflex artery, labelled CX, is dominant, meaning that it connects to the posterior descending artery and perfuses the posterior and inferior walls of the left ventricle. Approximately 15-18% of the population has a dominant circumflex artery. In about 80-85% of people, the right coronary artery (RCA), perfuses the inferior wall. This image is taken from the patient featured in our Teaching Series, AWMI. This shot shows the left anterior descending artery just after a stent has been placed and blood flow returned. 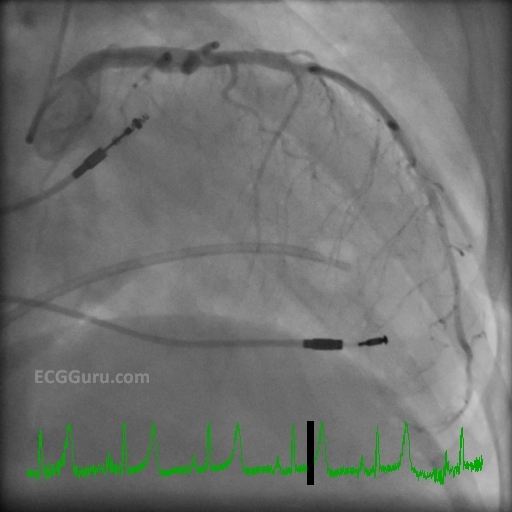 There had been a 100% occlusion prior to the angioplasty. 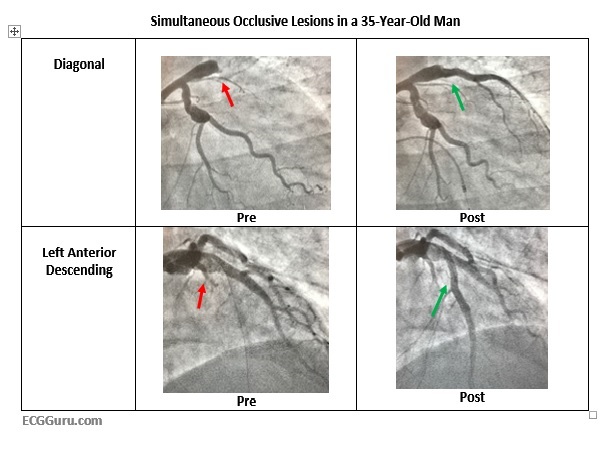 The circumflex and obtuse marginal arteries show evidence of severe coronary artery disease and multiple partial obstructions, and were also repaired. 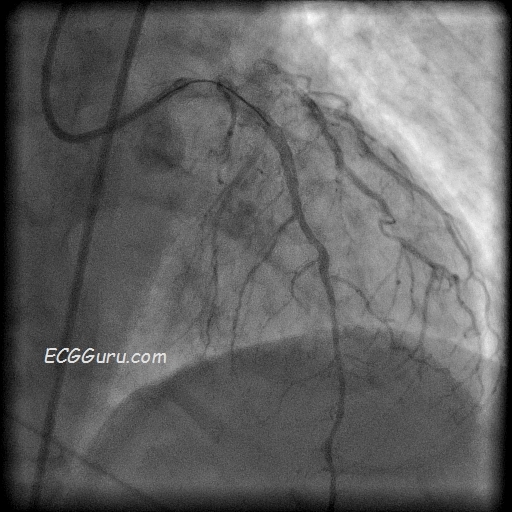 An angiogram of the left coronary artery of a patient with multi-vessle coronary artery disease. Pacemaker electrodes are seen in the right atrium and right ventricle. A Swan Ganz catheter is also visible, with balloon inflated.